We have 2006. Cinema displays the movie Karol. The Pope who remained a man . In the news, they are trashing about the first F-16 for the Polish army. MTV is ruled by Promiscuous Nelly Furtado. I'm sitting in a fleece jacket, hiding my cell phone under the school bench. I'm gonna put Gravity Defied on the Sony Ericson K700i. To think that over 20 years will change so much, but the Elasto Mania * clones will still steal me tens of hours of life. Trials Rising is the best example of this. I do not like shallow populism in the style of formerly it was games . Each generation has the right to own hits, memories and sentiments. I can not help you, however, that the cell times with Java and the Elasto Mania clones * have a special fondness. The period of my gymnasium rebellion was connected with an amazing technological revolution that allowed to launch on the mobile such games as Tokyo Drift 3D, Asphalt 3, Tower Bloxx or just Gravity Defied. The Russian clone of Elasto Mania has made me love platform 2D games with motorcycles for many years. Nowadays, the most popular heiress of Elasto Mania is the Trials series. Trials is a Ubisoft brand that began with ... a browser game from 2000. Since then, the series has been constantly developed and improved. For example, a three-dimensional environment, competition mode or network competition. Ubisoft is trying to reach out to the widest possible group with Trials. That's why the latest Trials: Rising debuted not only on PC, PS4 and XONE, but also Nintendo Switch. It's just on the Nintendo platform that I twist the gas handle and I have to admit that I'm playing better than I expected. Unfortunately, after a dozen or so hours Ubisoft shoots himself in the knee. 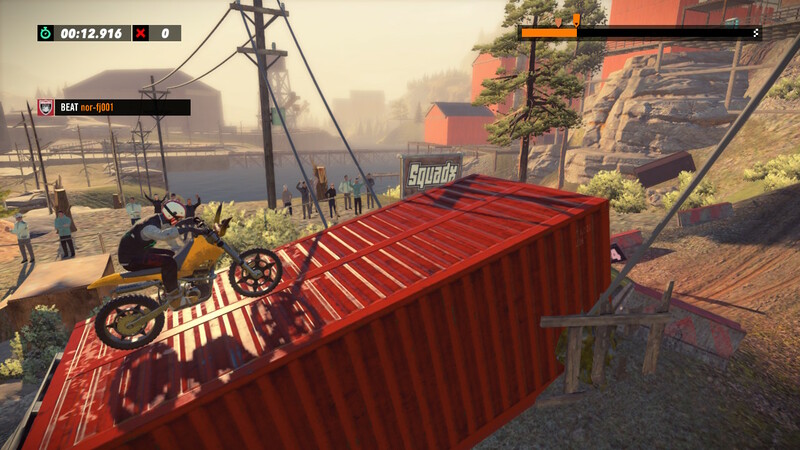 At the very beginning, Trials Rising is great. Fast. Loud. Impressive. 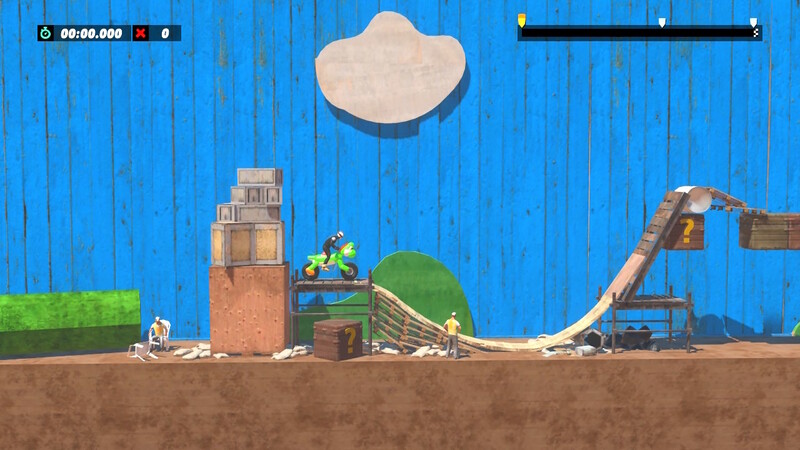 The player jumps from level to level, gaining new boxes with random items. Their presence, surprisingly, does not bother, because only cosmetic elements are found in lootboxes . The gigantic rotation of maps and challenges means that there is no time for boredom. The Ubisoft title is 110%. fun pressed in 100 percent game. Gas, brake, forward and backward movement - it turns out that you do not need more luck. The end with space. Time for continents, countries and tourist attractions. The great advantage of production is a break with the science-fiction climate (Fusion, Blood Dragon). Rising is a return to the tracks inspired by national landscapes. In Germany, we drive near the medieval stronghold. In the USA we visit the Grand Canyon and a film production company. Romania looks like City 17 from Half Life 2. The Netherlands is dominated by windmills, and deep Russia is a place of heavy industry and missile silos. Finland is full of streams, mountains and forests, while Scotland is threatening with fog, mud and caves. In China, we travel around the Great Wall, and Egypt is ruins and pyramids. In turn, Poland ... well, Poland is missing. Despite the return to real places, the creators of Trials continue to have their heads in the clouds. Developers are brilliantly playing with the convention, inventing amazing tracks. Like the one on the plane, with turbulence and overload. Possibly the one in the speeding train depot. Occasionally, the camera shot returns to the classic 2D position, which significantly hinders driving. Another time we are chased by a giant snow ball or we must use a medieval catapult. It's hard not to have a smile on your lips. The wealth and diversity of tracks is by far the biggest advantage of Trials Rising. Mount Everest, the Eiffel Tower or the canals of Bucharest - there are no poor routes here. Each of them is intriguing and interesting. Even the most difficult tracks do not make you want to leave the console. - One more attempt . - Only one more approach . - you are repeating yourself in your head. It's like addiction. Instead of being irritated, Trials Rising encourages you to be better and better. This is a gigantic achievement of the creators. Unfortunately, magic spurts somewhere between 30-40 level of experience. 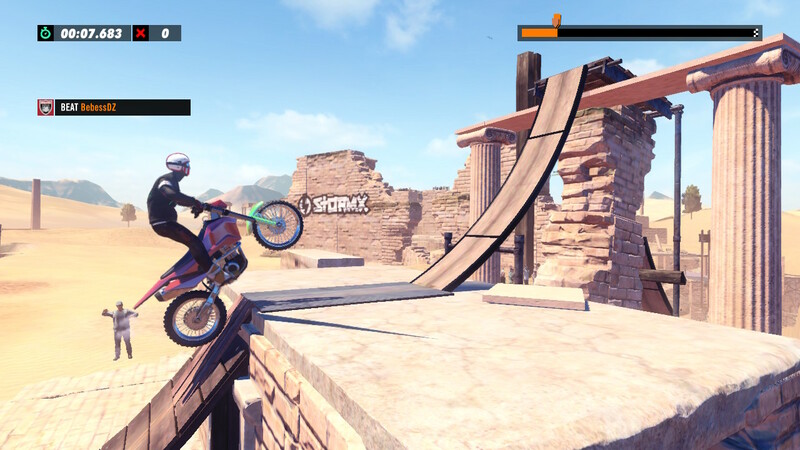 Then you will also discover that Trials Rising forces the player to grind more and more. Without him, participation in professional and champions league matches becomes impossible. Even gold medals on all already beaten tracks do not help (!). The player is forced to return to the well-known routes, where he has his own records and the first places on the podium. Misunderstanding. Idiocy. Shallowness. It is difficult to find a better term for this practice. I have no idea why the producers have gone in the direction of unnecessary grind. Rather, they were not driven by the desire to profit from boxes with random contents. In them, after all, there are only cosmetic items that in no way accelerate promotion from level to level. Perhaps it was about lengthening the time needed to pass the game? If so, it was decided to make a really irrational move. 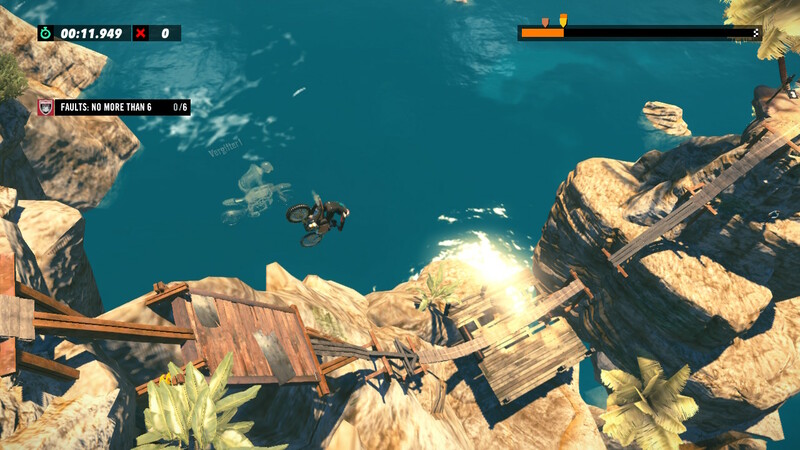 By enclosing the contents of the grind wall, Trials Rising loses much more than it gains. Great, great pity. I am delighted with Trials from the technical side. In Rising I played on the weakest possible platform - Nintendo Switch. Nevertheless, production works like a rocket anyway. The charging times are very short. What's even more important, the full restart of the track takes place immediately. Without any progress bar or black screen. One button and it's ready - we're back at the start again. This is extremely important in the case of games, where we repeat the challenge over and over again, screwing time in a cheerful way for platinum achievements. Of course, such an immediate restart has some side effects. For a few seconds, you can see how higher resolution textures are applied to three-dimensional objects. Sometimes an ornament is read in front of the player. However, during the game itself the gameplay is fast, smooth and extremely satisfying. The more it is a pity that Ubisoft sabotages her with stupid decisions regarding progression and levels of experience. With Nintendo Switch, there is another advantage of Trials. All you have to do is give your Joy-Con half to a friend and you can play together. Not only in front of the TV screen, but also on the train, in the cafeteria or in tents. Mobility is a great value of this title and I can not imagine giving it up in favor of a nicer, stronger edition for PS4 or Xbox. 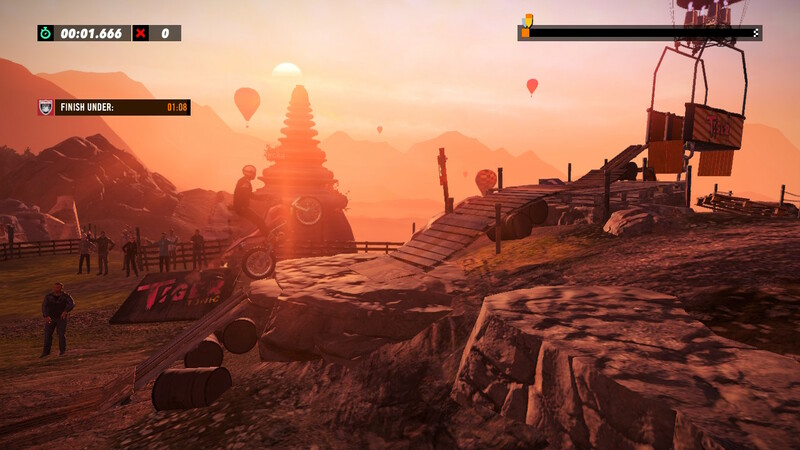 The Trials Rising community, which creates miracles, deserves special attention. CUDA! Game producers have given away their powerful editing tools to their fans. The community can create your own clothing (Power Ranger Costume? Why not), own modifications of motorcycles (futuristic TRON vehicle? No problem) and unique routes to overcome. This is the last element that delights the most. The tracks created by other players have put me on the shoulders. Pearls of creativity. For example, the Ace Combat level takes us to North Korea in which long-range missiles were fired. 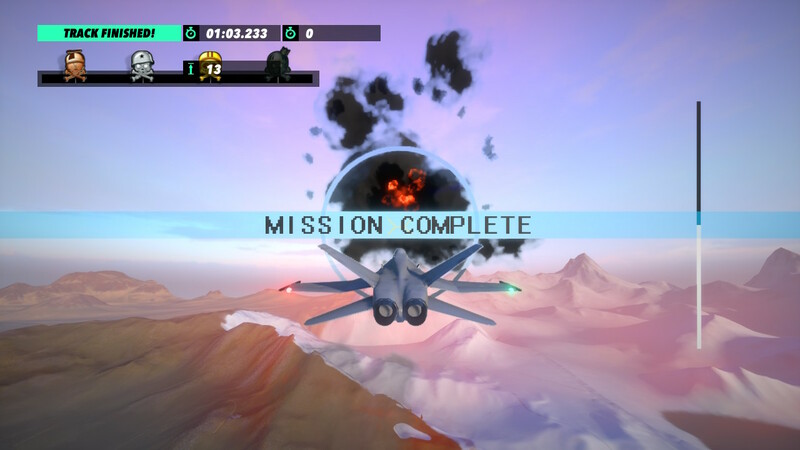 The player then switches from the motorcycle to the cabin ... the fighter aircraft to knock down all the heads. Some madness. Zombie Pit allows you to shoot the living dead in an isometric view. There is even a charming location inspired by the iconic first level of Super Mario Bros. Something amazing. The community around Trials is active and extremely talented. Wonders created by fans, great routes from producers, fast action and the possibility of playing in the field - these are the four main reasons why Trials Rising has become my favorite game "in between" - the title ideal to start in the moment of break between larger productions. They killed me in Apex Legends, but friends are still fighting? I'm firing Trialsy. I'm going by train to the capital? I'm firing Trialsy. Waiting in line for the dentist? I shiver with terror and start Trialsy. Ubisoft has released a game that is just good to have with you. * It is worth mentioning that Elasto Mania was not the first platform game with motorcycles. Already in 1985, we could play a similar Kikstart released for Amiga and Commodore. 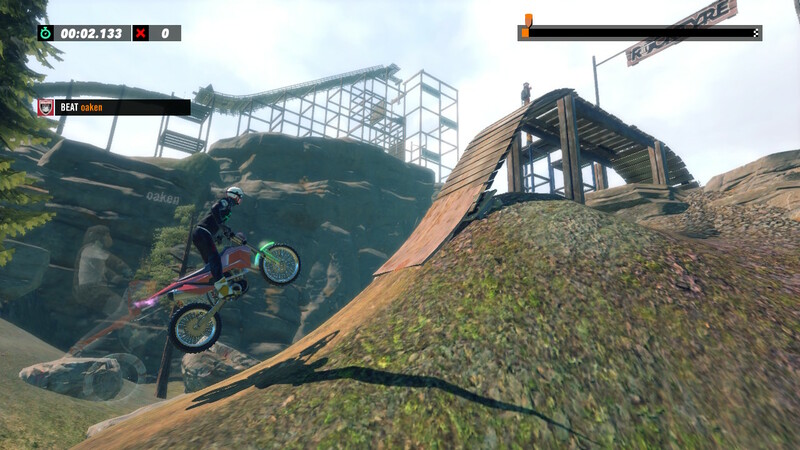 Screenshots come from the game Trials Rising running on the Nintendo Switch.